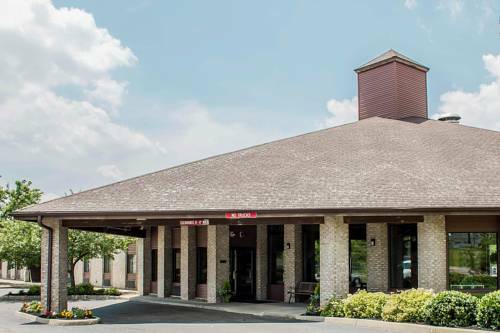 When all you need is a solid deal on a simple stay, the Rodeway Inn hotel in Wooster, OH is just what you are looking for. We're near attractions like the College of Wooster, The Ohio Agricultural Research and Development Center, Ohio State Universitys Agricultural Technical Institute and Historic Downtown Wooster. Enjoy amenities like free continental breakfast, free WiFi, an indoor heated pool, a hot tub, a fitness center and a business center. Rooms include a microwave, refrigerator, desk, iron, ironing board and TV. Also, earn rewards including free nights and gift cards with our Choice Privileges Rewards program. It's like walking through a wax Bible -- populated by Hollywood star dummies in cameo roles. Ernest Warther's impossibly perfect locomotive carvings make up the bulk of this well-mounted museum. Also here is his wife's collection of over 70,000 buttons. Annual festival celebrates town's duct tape industry with a duct tape fashion show, parade, and larger-than-life duct tape sculptures.